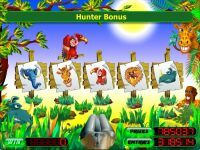 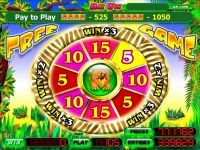 Game Safari is a 5-reel 21-line video slot with bonus game, free spins and an opportunity to double your winnings. 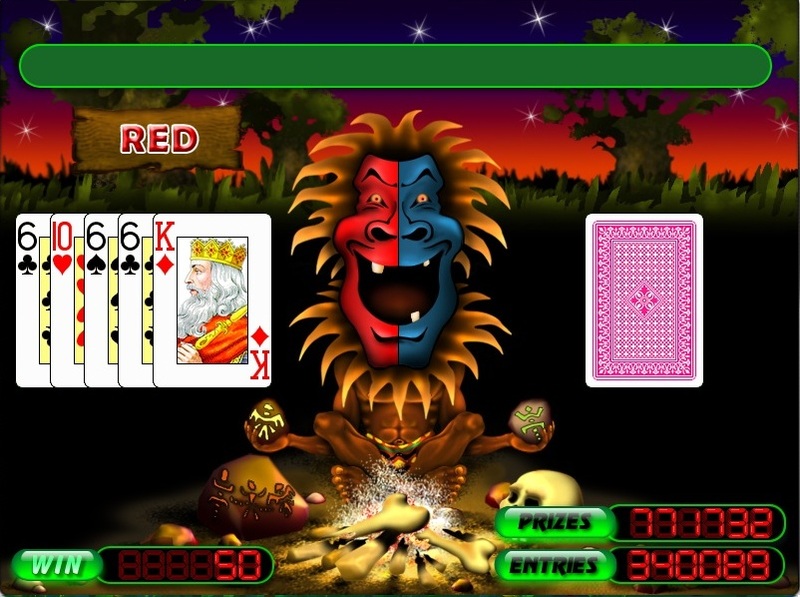 Joker symbol replaces any symbol except in the winning combination of bonus and scatter symbols. At loss of 5.3 character "Leo" You can Win 15 Free Spins. 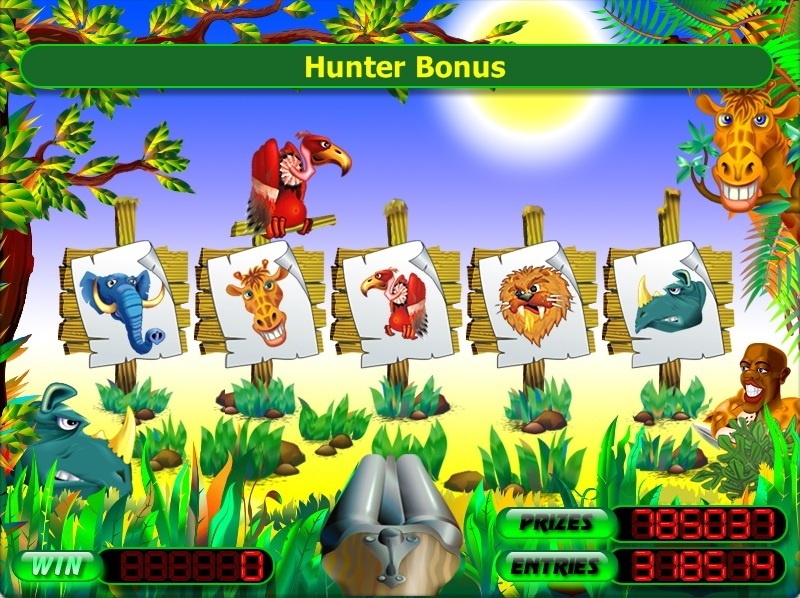 A roll of 3-5 character "Hunter" bonus game begins. 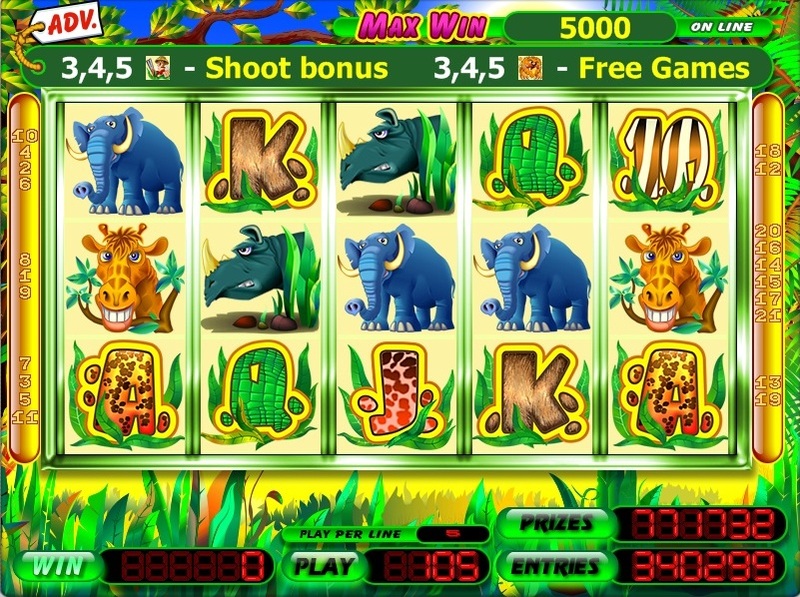 In the bonus game you need to shoot at targets increase your winnings.